Magnet Therapy is both ancient practice and a frontier science. What is now being investigated by our scientists and physicians was first put into practice at least four thousand years ago. Historical records track the use of magnets for healing our bodies' ills back to around 2000 BC. It was then that the oldest known medical treatise, The Yellow Emperors's Book of Internal Medicine, was penned. In what would become the bible of traditional Chinese medicine, Houangh-Ti laid out approaches to treating internal body imbalances by introducing external energy. One such way of doing so was the insertion of needles in energetically charged points - a practice we know as acupuncture. Another therapeutic way of influencing these points and their associated energy channels (meridians) was through the application of lodestones. Once ancient text describes how to treat deafness magnetically by simultaneously placing a mixture of herbs in the patient's ear and a piece of iron in the patient's mouth. A contemporary Chinese veterinary medicine text indicates that magnets wer traditionally used to treat horses as well as people. (We actually treat many of our horses at the Golden Carrot with magnet bandages to speed up healing time and reduce swelling). Interestingly, both traditional Chinese and Indian medicine (Ayurveda) are based on the concept of health's being dependent on the unimpeded flow of life force. The Chinese call it CHI or QI, while the Indians call it PRANA. Both systems also speak of channels connected with energy distribution. In Chinese medicine, these are the meridians, while the Indian esoteric literature speaks of nadis. The ancient Egyptians viewed all forms of illness as imbalances between the patient and the cosmos. Like the Chinese and the Indians, the Egyptians believed that physical disease was a result of energetic imbalances. Gemstones were a very important part of their culture, and many believe that knowledge of the unique healing properties of these various minerals and crystals originated with the Egyptian healer priests. It is widely claimed that Cleopatra wore a lodestone (magnetic stone) on her forehead to maintain her youthfulness and beauty. Temple and tom paintings are replete with images of Egyptians communicating and healing (electromagnetically) through their hands. When we look at the seventh century B.C., we find Thales of Miletus, a Greek mathematician and philosopher who preceded Hippocrates (the father of medicine) by a couple of hundred years, connecting lodestones with some type of animal spirit. Some feel that Hippocrates's fifth-century B.C. writings indicate that he used magnets to assist the body in its self-healing process. And Aristotle is reputed to have spoken of the therapeutic properties of magnets as well. In modern day America, Magnet Therapy came to the forefront when Connecticut physician Elisha Perkins was given a patent in 1795 for his magnetic tractor. His little handheld device was gently and repeatedly moved by the practioner over the afflicted body part to "pull off" the energetic field that Perkins believed was the source of the malady. The use of static magnets became very popular after the Civil War, with a variety of products being sold through mail-order catalogs. The advent of AC, a few decades later, gave inventors the tools to develop electromagnetic healing devices. Electromagnetic therapy, included in the medical textbooks of the day, became an accepted treatment option for a wide variety of ailments. With the emergence of over the counter drugs, NSAIDS and antibiotics, Magnetic Therapies fell by the wayside. But many of these OTC's are not so wonderful after all. Many popular painkillers can cause gastro-intestinal bleeding, ulcers and kidney damage, others will damage the liver. More and more people are looking to additional treatment methods or alternatives that are natural and non-toxic. Today we know more about how and why magnets heal, and researchers and clinicians around the world are busy doing more research every day. We know magnets can improve sleep, increase energy levels, improve healing of soft tissue injuries, diminish pain in Osteoarthritis patients and generally increase your feeling of well-being. 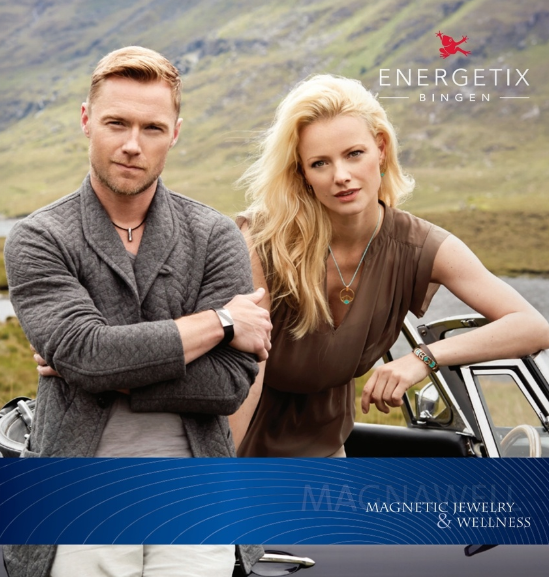 ENERGETIX Bingen believes in the philosophy and the findings of the ancient medicines and uses the power of magnets in all it's jewelry. 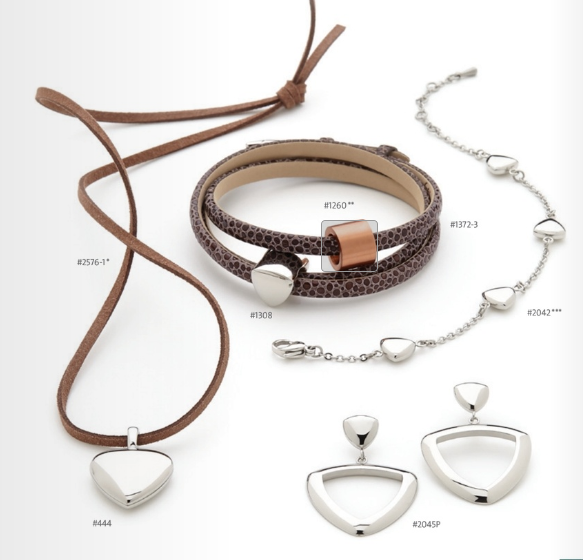 We combine sophisticated exclusive design jewelry with the benefits and power of magnets. Unless otherwise indicated our jewelry and accessories have one or more neodymium magnets of at lease 0.12 Tesla. Our customers wear our jewelry because they are fascinated by its radiance and want to have the power of magnets in their immediate vicinity at all times. 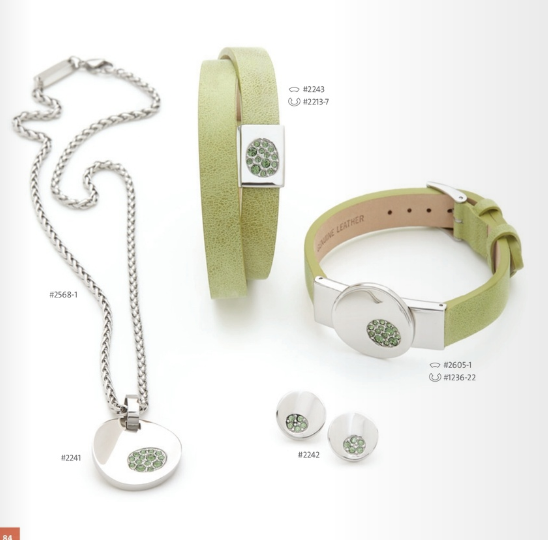 All our jewelry and accessories have the same purpose, to give people moments of well-being in their daily life. Each of these moments tells us we are on the right track. If you would like to see any of our other beautiful items please browse our catalog by clicking on the catalog below and it will bring you to our website. Once there, click on the catalog, hover over the items you would like and voila.... straight to the shopping cart!